Unfortunately, Amusement Arcades have become rubbish places to visit now. They’re actually bordering on scary, with the shady types of individuals in there threatening to beat you up for a few pence. Thankfully people are building arcades to their hearts content: no chavs, no deadbeats, and no rubbish games like Pit Fighter. This is one house I do rather want. This is the Luna City Arcade, the brainchild of Peter Hirschberg. 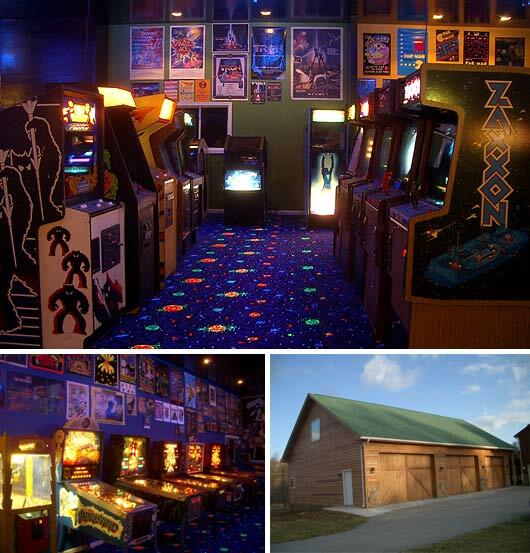 There’s 58 video games and 8 pinball machines. All loving put into a classic looking arcade. I’ll be honest, it is probably the greatest restoration and game room project I’ve seen. I’d love something similar in my house. It is located in Linden, Virginia, and – unfortunately – not open to the public. But the owner holds regular game nights so you can play for free every few months.